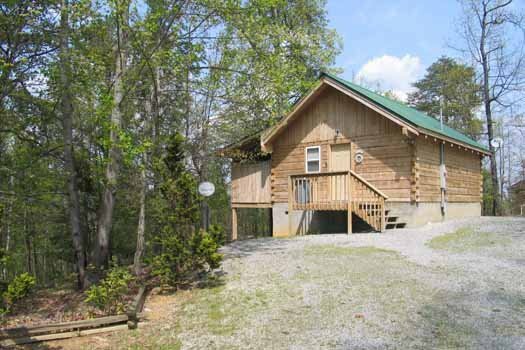 Forever Yours is the perfect, romantic, log cabin for your next Smoky Mountain getaway. 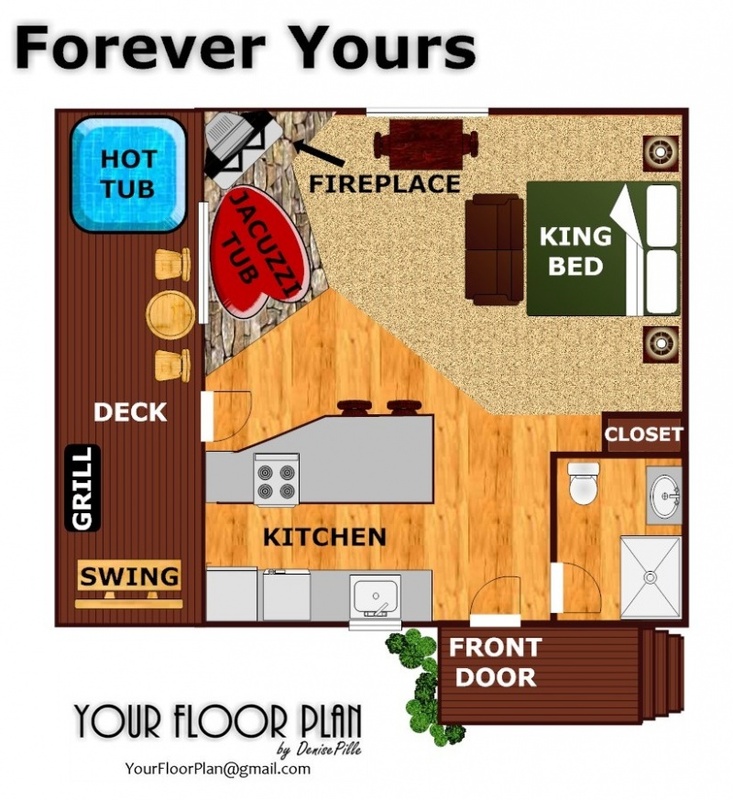 It might just be Forever Yours too, because once you're there you will never want to leave! 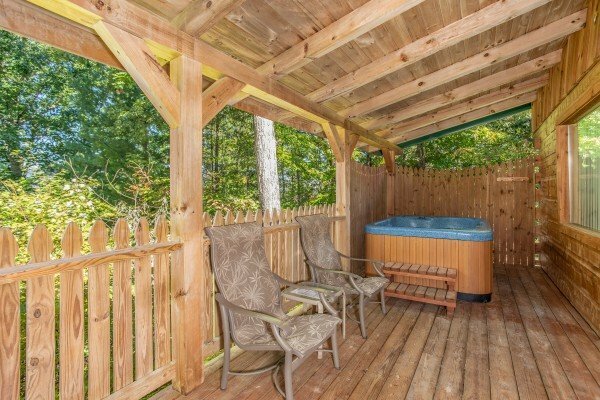 Conveniently located in lush Wears Valley, the cabin is found just 5 miles from the heart of all the action in Pigeon Forge. 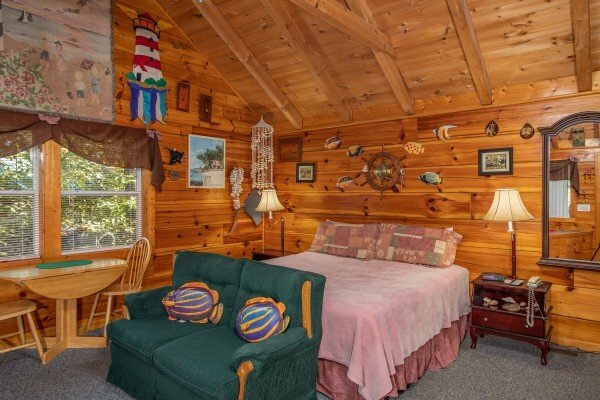 However, once you enjoy all the creature comforts this log cabin offers, you may never want to even visit town. 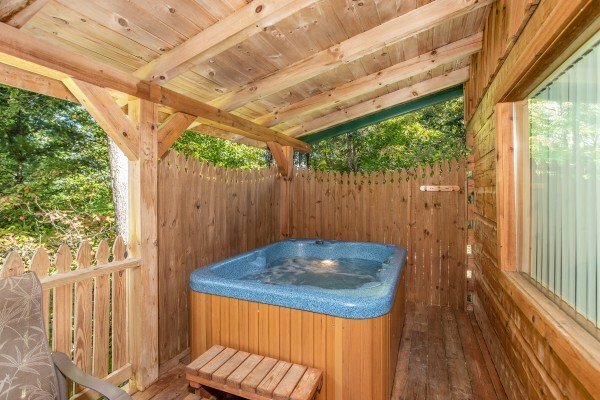 No matter whether you are soaking in the private outdoor hot tub, kicking back in the heart shaped indoor whirlpool, snuggling-in by the stone fireplace to watch a movie, or just rocking on the covered porch breathing some mountain air, we know you will never want to leave this Smoky Mountain paradise, and you'll want to make this cabin...... Forever Yours. Reserve your stay today! This is our 2nd time in this cabin, and we definitely plan to stay again. We enjoyed our stay the cabin was wonderful. The electric was out the morning we left but the stay was still amazing ! 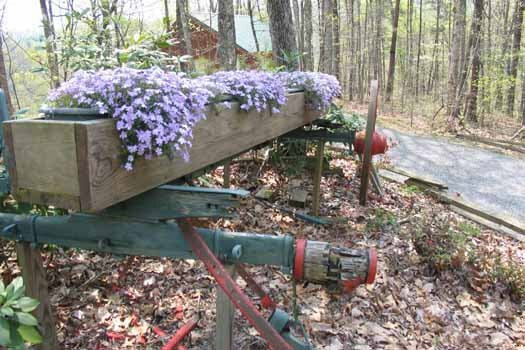 We had a wonderful time while visiting TN and the cabin was perfect for relaxing after a long day out. The woman I talked to on 3-4-2016 was a very big help to my wife and I . I wish I had gotten her name to put on here but she did a very good job and was very helpful i will be going back agin we have stayed here twice and was pleased both times you will not be disappointed . We loved the cabin and was not ready to leave we could have stayed longer! We will definitely be back to say again!! 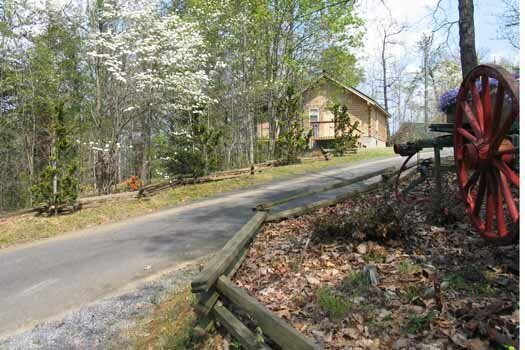 We had an amazing time at the Forever Yours cabin! 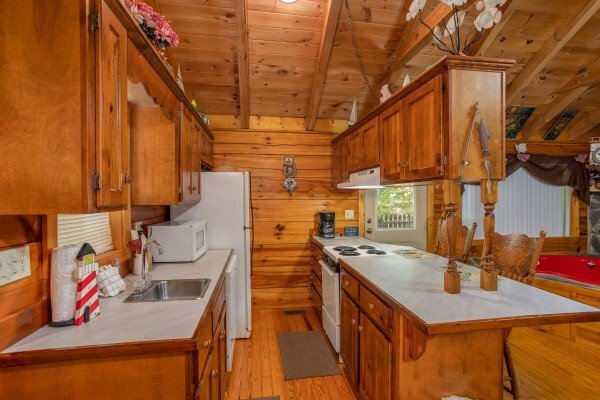 We found it very quaint, secluded & a beautifully decorated cabin. 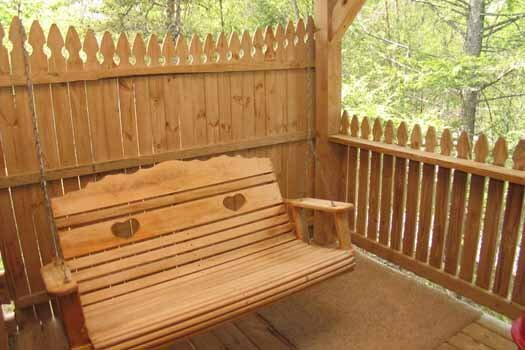 The property was peaceful & quiet. 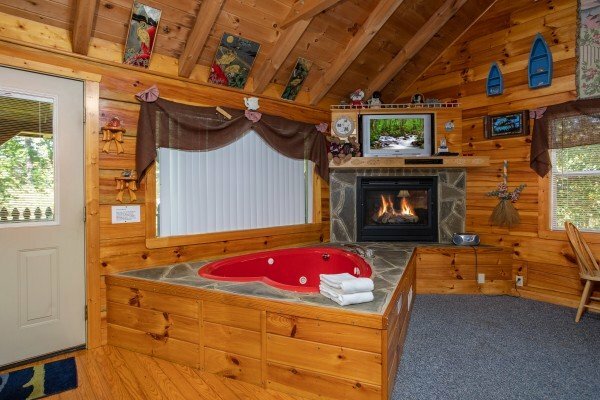 We loved the immentities especially the heart shaped tub & hot tub. 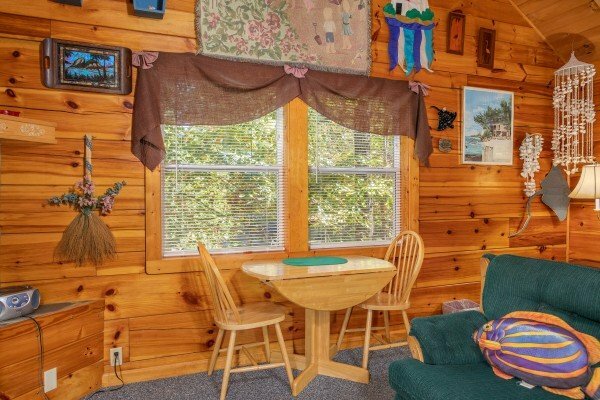 We also loved the layout of the cabin & the furniture arrangement. Even the bed was super comfortable which was surprising based on past experiences on other vacation properties. 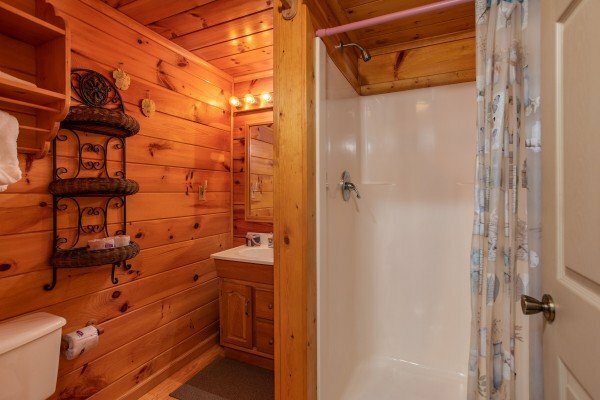 The only thing I missed was more bathroom counter space for makeup & hair appliances. We will definitely stay there again!! 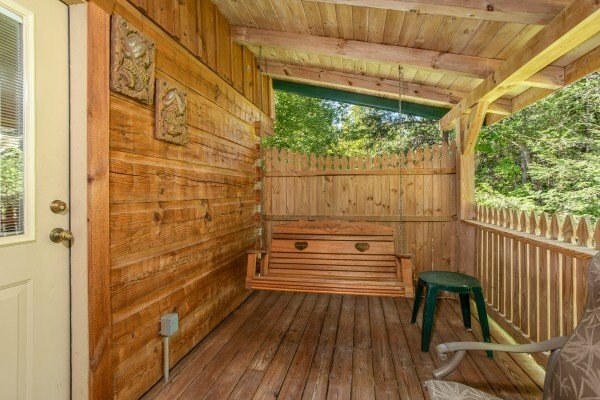 Enjoyed this cute little cabin:) very clean .definitely recommend you all! We had a great time and cannot wait to go back. hopefully next time we can stay longer!! Loved it. Thanks Tabitha for you help. This was the first time I have ever stayed in a cabin & I absolutely loved it. 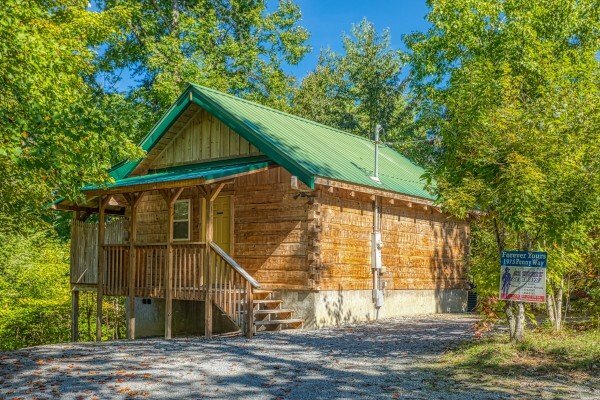 The cabin was perfect for our weekend getaway. It was a much needed stress reliever for us. The only complaint that I have is the weekend went by too quick. I wish we could have stayed longer. I hope that we get the opportunity to stay many more times. 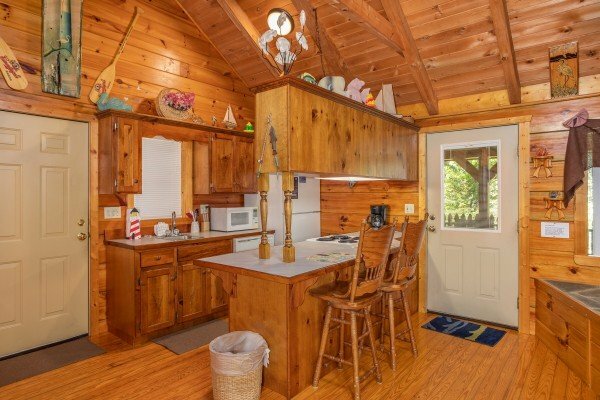 Thank you for allowing us to experience this wonderful little cabin! This was a great place! Had a wonderful time, peace and quiet. 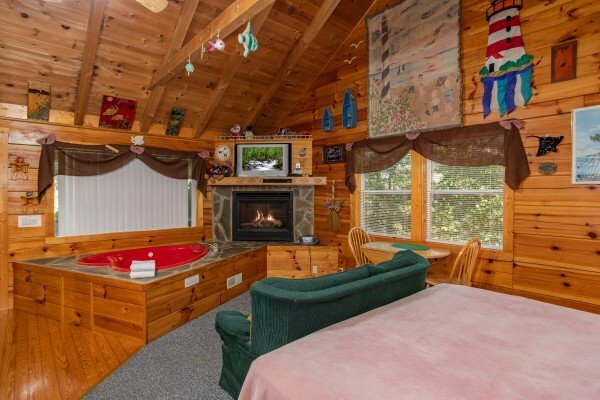 We've stayed at other cabins, but this is by far the best ever! The cabin was immaculate..... This was my 1st visit to Gatlinburg and those mountains was extremely daring for me. Thankfully I had a great driver that got us up and down those sharp, curvy turns with no problems. I do plan on revisiting again but I don't think it will be in the winter-everyone had me terrified of running into bears! Thanks again for everything!